Volumes 1 - 4 of Alternative Race Technology delivered immediately. This offer saves you 10% over buying the issues individually! Please click "Details" to see the full contents of each issue. 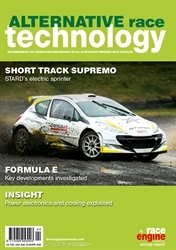 Highlights in this issue include a conversation with Brian Willis, a dossier on Stard Hiper Prototype Rallycross EV, insights into Semiconductor development, battery technology and cooling systems, a technical review on Formula E and a digest on Acciona 100% Eco powered. Please click 'Details' for full contents. Highlights in this issue include a conversation with Joshua Schachter and a dossier on the Buckeye Bullet 3 LSR. Insights into cable assemblies, high-torque motors, cooling electric motors, inverters and motor control. As well as a technical review of Formula E, a look at the LPG Fiesta R5 and the Andros Trophy electric car. Please click 'Details' for full contents. 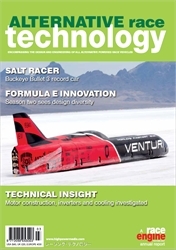 Highlights in this issue include a conversation with Dr Wolfgang Warnecke, insights into the YR45 hybrid engine, hybrid system integration and battery modelling. 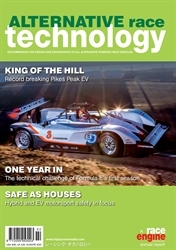 A dossier on the Drive EO PP03 Pikes Peak, a tech review of Formula E and a special investigation into motor materials as well as focus a article covering hybrid and EV safety. Please click 'Details' for full contents.